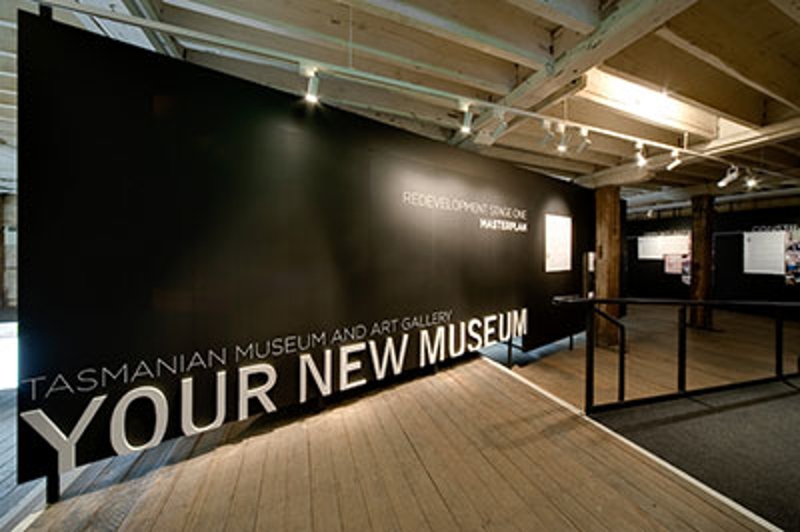 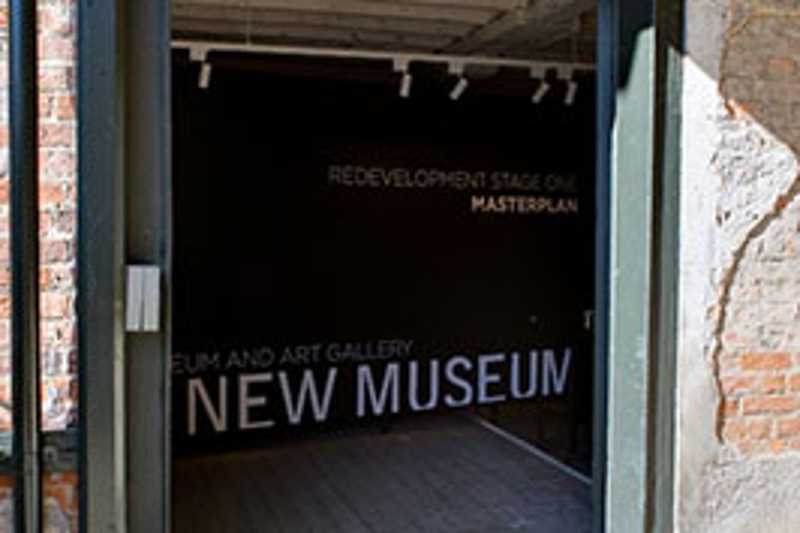 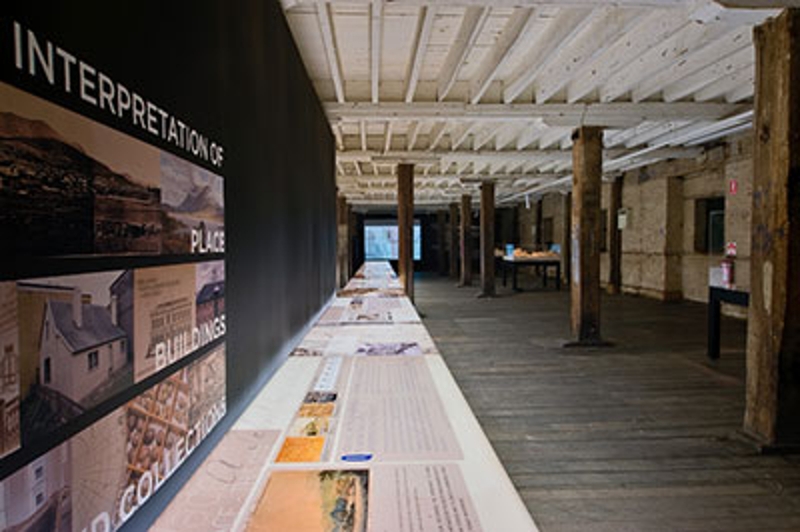 This exhibition outlines the masterplan developed by JPW and TERROIR for the redevelopment of the Tasmanian Museum and Art Gallery (TMAG). 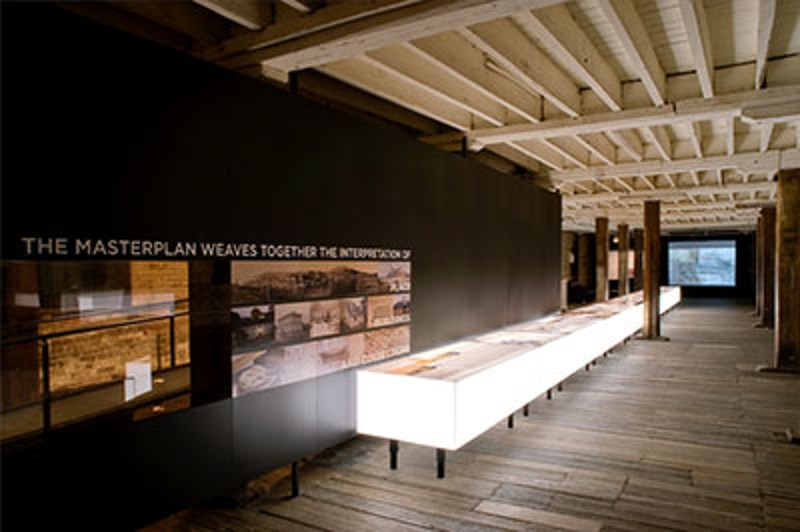 The purpose of the exhibition is to explain to the public the process that was undertaken, key issues and questions that drove the development of a masterplan and the presentation of the final masterplan solution. 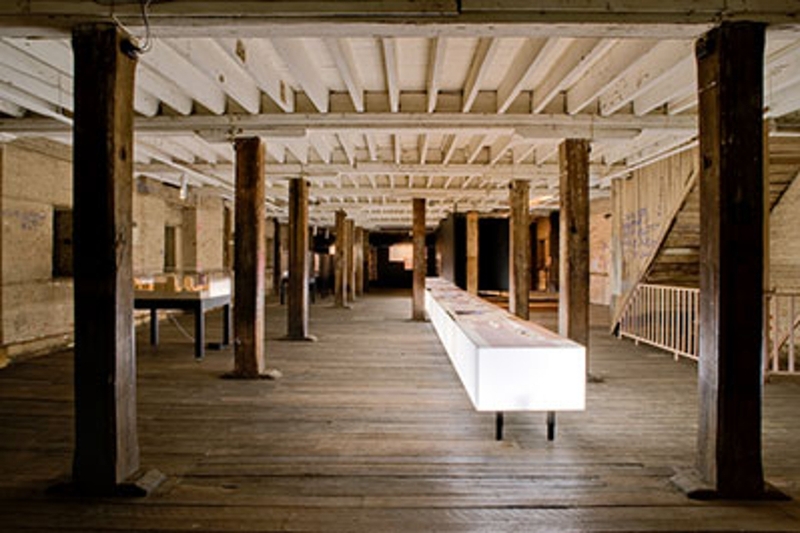 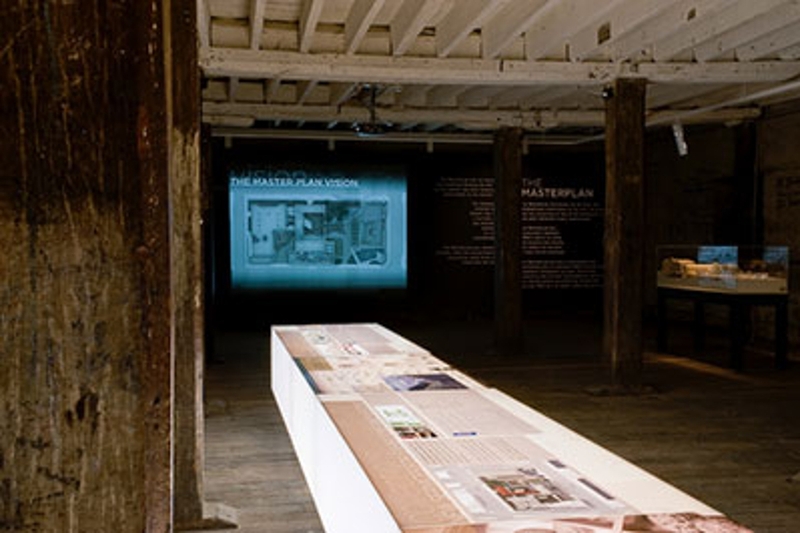 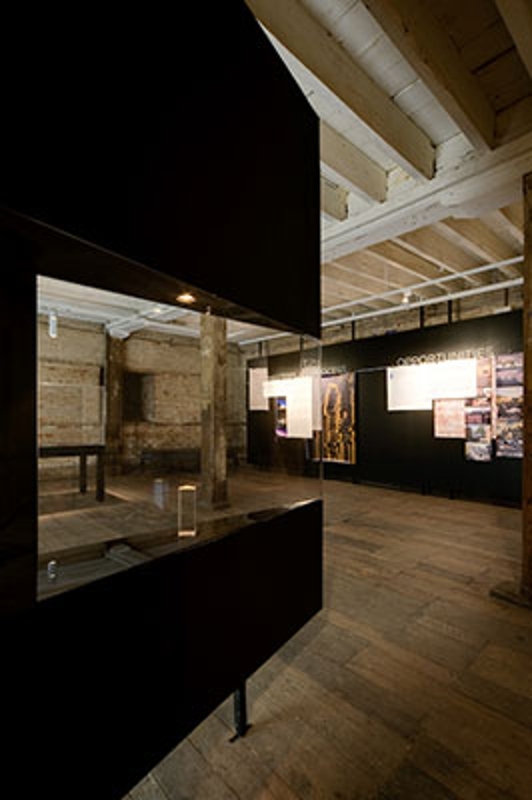 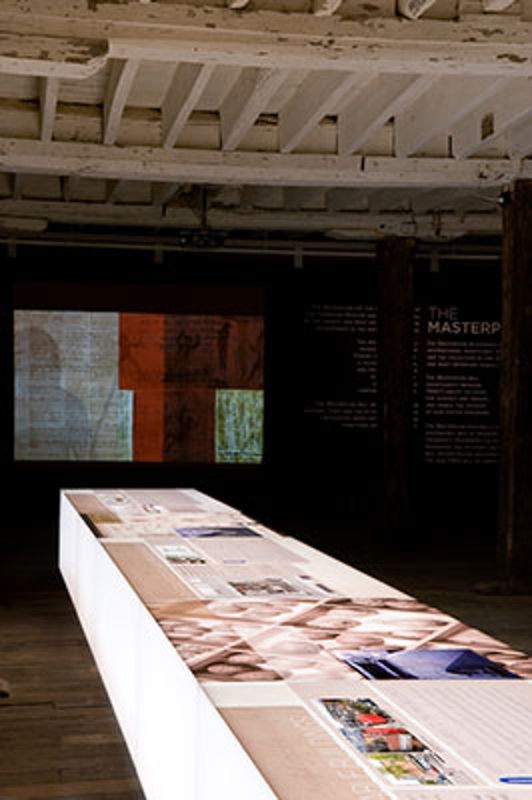 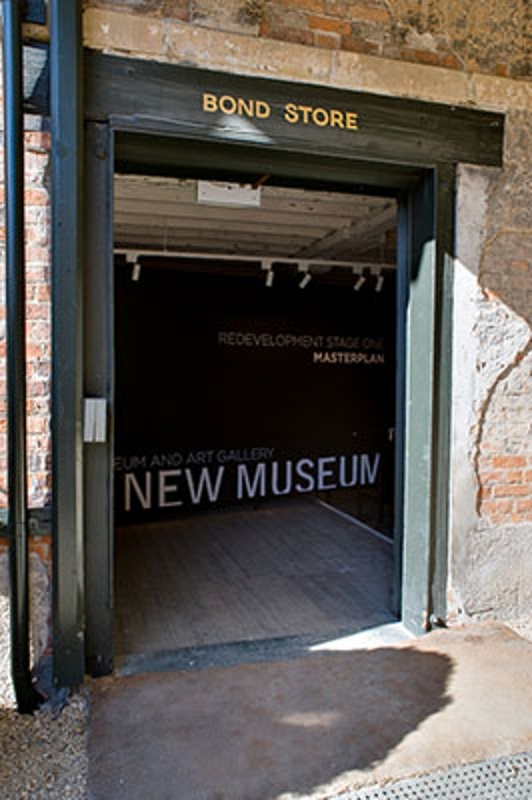 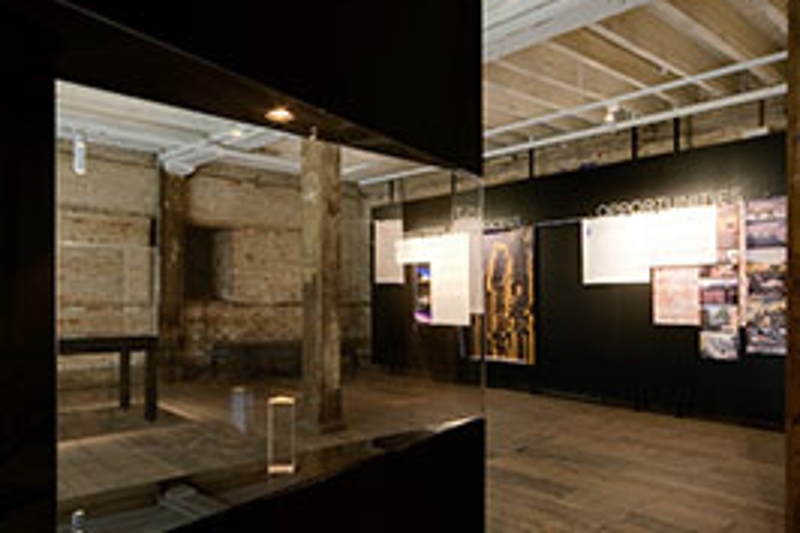 The exhibition was held in the Bond Store on the TMAG site - one of the heritage buildings of national significance in the complex which is currently underutilised. 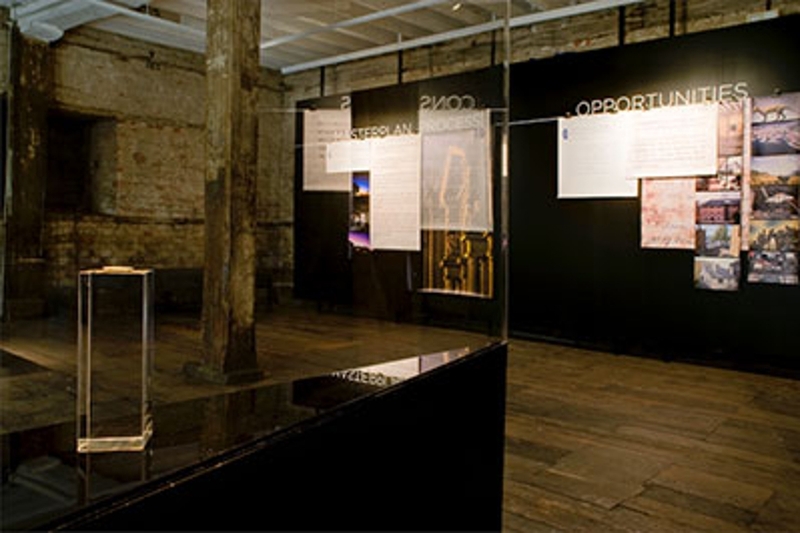 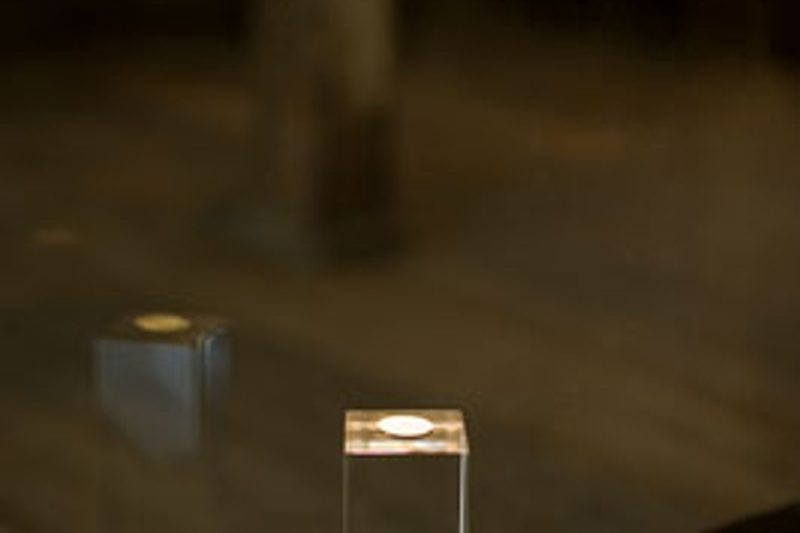 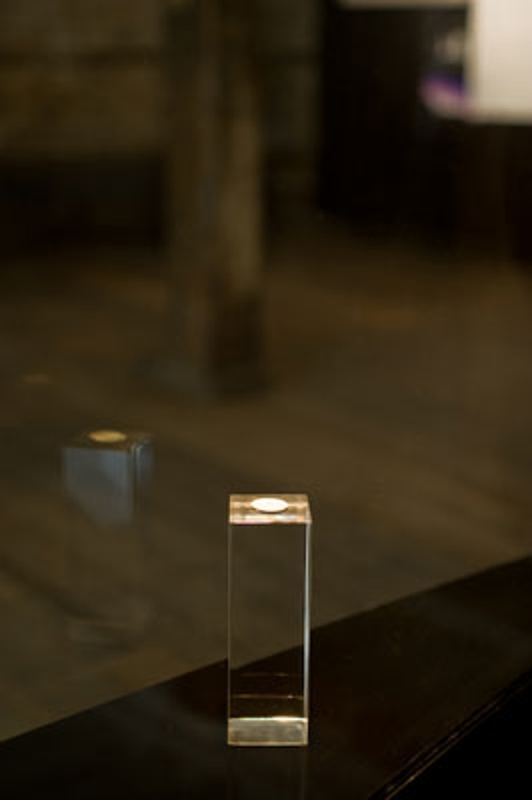 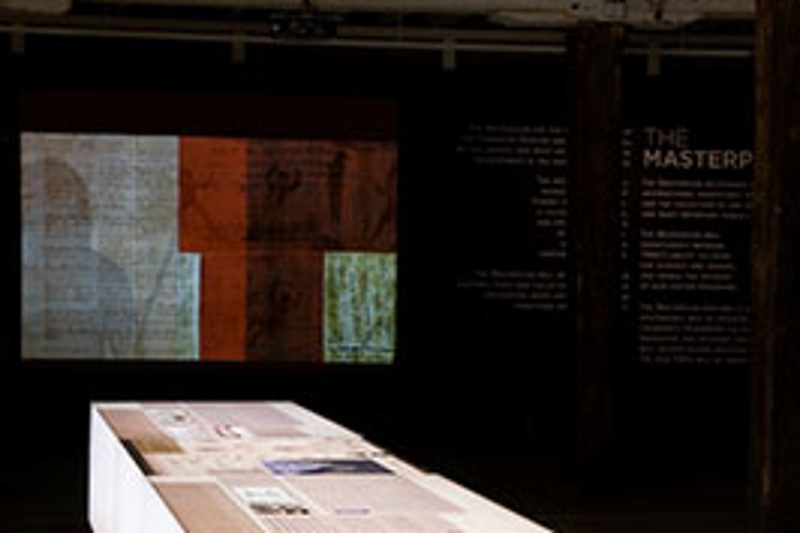 The exhibition is in 5 parts: an introductory section presented in workshop format with butcher's paper on pinboards explains to visitors the constraints and opportunities understood by the project team; a set of glass cabinets adjacent to this section displays some of the valuable items from the collection which cannot be displayed given the current conditions and constraints within the gallery; the third item is the centerpiece of the exhibition a 20m long lightbox upon which layers of design drawings are displayed in a logical manner, taking visitors through the design process for the masterplan. 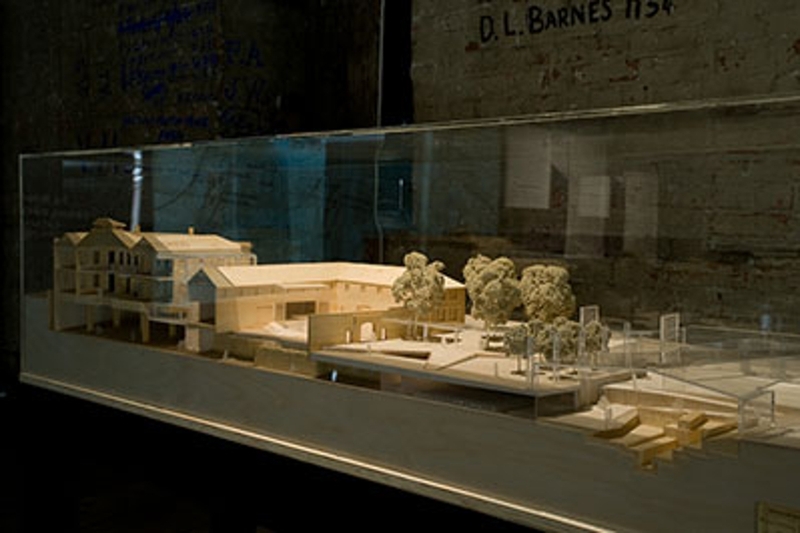 With the design process understood, 2 models explain the masterplan in detail while an A/V presentation concludes the exhibition with a summary of what has been displayed and an explanation of the next steps in the transformation of this critical site in Tasmania's history.